TQ, the new home for technology startups in the Netherlands, a creation by The Next Web, was officially opened today by Dutch Prime Minister Mark Rutte. TQ offers facilities including co-working rooms, offices for new startups, innovation labs, a web development school and a cafe that’s open to the public. Amsterdam entrepreneurs can expect a diversity of tech-related programming, networking and, given the location on the historic Bloemenmarkt, spectacular views of the city. Starting today, interested startups can apply to rent space in the building. The goal of TQ is to strengthen the technological community at the city, national, and international levels. Dutch Googlers will offer mentoring to TQ entrepreneurs, who will also have access to programs like Google Demo Day, designed to attract capital investment in new businesses. We’ve worked closely with TQ from its initial conception and are proud to welcome them into our Google for Entrepreneurs network. Google for Entrepreneurs brings together 40 tech hubs and tech campuses worldwide, including in London, Warsaw and Berlin. This gives the startups access to a strong network across 125 countries, increasing the potential impact for entrepreneurs. Being online is important, but sometimes personal contact and shared experiences can make all the difference. Since Google itself started out in a garage, we know the value of encouraging entrepreneurship and strong community ecosystems. 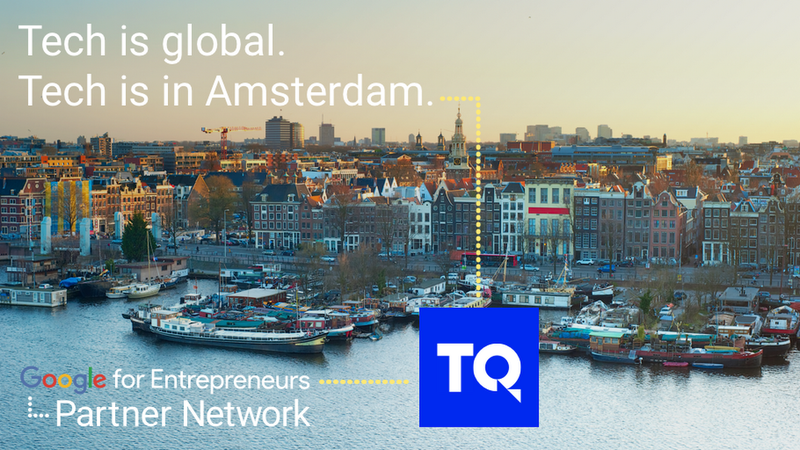 The arrival of TQ in Amsterdam is an important step in the development of Amsterdam's vibrant startup scene. There is now a place where the city’s startup community can join forces with startups throughout the Netherlands, where entrepreneurs can learn and connect, and where world-changing businesses can get their start.